Prophetic Christian as Organic Intellectual: Martin Luther King, Jr. 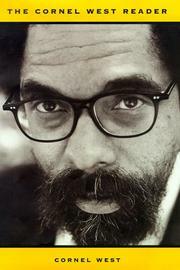 I find myself inspired to act each time I read Cornel West’s essay “Race and Architecture” (p.456-462). This is true for a couple of reasons. The first reason is biographical in that one of my mentors, Darell Wayne Fields, told me on several occasions that he worked with Cornel West while studying at Harvard University. This interaction led West to pen the introduction to Fields’ book Architecture in Black (Fields 2000), as well as to publish a series of lecture he gave in architecture schools along the East Coast, which was finally reprinted as “Race and Architecture” in The Cornel West Reader (West, 1999). Having the ability to map oneself back to someone like Cornel West is a wonderful privilege, even though I did not meet him personally during my time in graduate school. Over time, this indirect connection grew into a personal challenge to think and write in a way that answered the call West made to minority scholars in the field of architecture. This challenge was simple – write in a way that transforms your profession. I am still looking for ways to meet this charge. Another reason I find myself drawn to this essay is because it addresses the social conditions that contribute to my schizophrenic relationship with academia. In many ways I am two persons, to use a phrase that my fiancé references in her research on bilingualism in the United States. In my case, however, I am struggling with the need to alternate between being an architectural historian and a cultural critic. The reasons for this stress are not entirely obvious until you ask me what it’s like to teach history in a professional architecture school. I would ascribe my ‘double-consciousness’ to the split-nature of architectural education as a science and an art form. The technological narratives of architecture as a science continues a Western narrative of progress that pits First-World advancement against an ever primitive Third-World. Yet, the artistic side of the profession requires us to think about architecture as a product of the built environment, beyond the limitations of design as a purposeful and controlling creative act. This is something of a challenge for those who are trained to think of architecture in terms of design (i.e. in the terms set by its author, the architect). Another limiting influence of the architectural profession is the guild mentality that architects have adopted to protect their professional interests against clients, contractors, and other humanists who comment on the built environment. This closed attitude is reinforced, versus mitigated by, an academic regimen that treats European history as the datum from which all cultural progress should be interpreted. These humanist aspirations explain why I am one of three full-time historians on the faculty in my home institution. (How many historians were employed in the nursing, dental, or business schools on your campus?) The danger of cultural criticism lies in the challenge it presents to the architect’s relative autonomy from the public sphere. If you are too forceful in your critique of the guild-like mentality of architects, you may find yourself defending your presence in the academy. Anyone can become an outsider at any time; you are not protected by your previous training as an architect or your educational pedigree in architecture schools. The architect and sociologist Garry Stevens found himself in this position, despite being both an architect and scientist, although reading his words makes one think he rather enjoyed being ousted (Stevens, 2001). I will keep my comments personal in this blog entry, but will return to this essay to outline its contents for those interested in taking a closer look. I absolutely love this post and blog!